Facing History and Ourselves, together with the Maltz Museum of Jewish Heritage, has prepared four lessons that teachers can use to prepare their students for a visit to the exhibition. Because the focus of the exhibition is the violins and the role of music during the period, it is recommended that students have some understanding of the Holocaust before they arrive. The lessons provide background about richness of Jewish life in Europe prior to World War II; the Nazi rise to power; and the impact of Nazi tyranny on the Jewish people and others,which led to genocide. They also offer an opportunity for students to consider the role that music played for the Jewish people, both in creating community before the War and sustaining the spirit and resisting oppression once the era of Nazi tyranny began. Facing History and Ourselves’ classroom study materials provide a meaningful yet flexible structure for examining the complex events and ideas of the Holocaust. They are used to teach lessons of identity, membership in society, and the legacies of history and prejudice. All publications are available as a free download to Qualified Facing History educators. Visitfacinghistory.org/publications. Our core resource, Facing History and Ourselves: Holocaust and Human Behavior provides an interdisciplinary approach to citizenship education. Students move from thought to judgement to participation as they confront the moral questions inherent in a study of violence, racism, antisemitism and bigotry. During the Holocaust, a handful of young people chose to write and record in diaries throughout Europe. The documentary film developed by MTV weaves together excerpts of young writers’diaries covering the years 1937-1944. The companion study guide aims to help educators use the voices of these young writers from the film as a springboard for discussion and reflection on the value of these diaries as historical sources and literary records. Decision-Making in Times of Injustice, a 17-lesson unit, is designed to help middle school educators use the materials in Facing History and Ourselves: Holocaust and Human Behavior, as well as other Facing History resources. This unit has been designed to help students learn about this important moment in history while deepening their understanding of themes such as peer pressure, obedience, fear and self-preservation, opportunism, and prejudice. This resource connects our core work, Facing History and Ourselves: Holocaust and Human Behavior, with writing prompts that align with the expectations of the Common Core State Standards. This supplementary guide includes specific writing prompts and teaching strategies that ask students to use evidence as they craft a formal argumentative essay. The resource features effective writing strategies for general use in the social studies or English classroom. Soon after Hitler and his Nazi party took over Germany in 1933, they began to isolate and then eliminate Jews and other “racial enemies.” By the late 1930s, Jews could no longer own radios or record players. They were banned from movie theatres, concert halls, and cabarets. 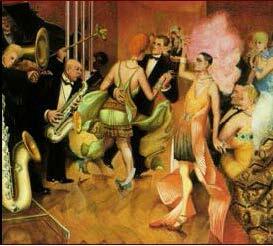 Their music, art, and literature were labeled “degenerate,”even immoral. This study guide is designed to help teachers and their students use the accompanying CD explores the role of the arts and artists in that extraordinary place. It is music that deepens our understanding not only of creativity but also of courage, resilience, and resistance. Their music is a part of the history of Terezin and of the Holocaust. Facing History and Ourselves: The Jews of Poland considers the ways Jews and their non-Jewish neighbors in Poland and other parts of Eastern Europe responded to questions of identity, membership, and difference at various times in their shared history. Students explore this history by reading autobiographies, diaries, official documents, literary works, and other sources. Sonia Weitz tells her story through poetry and testimony about her life during the Holocaust in I Promised I Would Tell. She gives life to the millions of children, men and women who were murdered in Europe because they were Jews. Her personal memories and poetry give a history to mothers, fathers, sisters, brothers, sons and daughters. The award-winning film Schindler’s List provides an opportunity to both preserve and judge the past through a medium that is accessible to every high school student. This study guide is designed to help teachers make the most of that opportunity by fostering classroom reflection and discussion. This guide highlights the story of Raphael Lemkin who is known for coining the term geno-cide. Lemkin challenges us to think deeply about what it will take for individuals, groups, and nations to understand and recognize genocide prevention. Night: The Study Guide explores the relationship between memory and identity and also consid-ers what it means to be a witness to collective violence. This guide accompanies the memoir Night, by Elie Wiesel, which focuses on the final year of the Holocaust—a year the author spent at Auschwitz, a Nazi death camp. Shot by Shot: The Holocaust in German-Occupied Soviet Territory, an ebook by Joshua Rubenstein, author and associate at Harvard’s Davis Center for Russian and Eurasian studies, contains personal surivor testimony and archival video footage as well as primary source documents that provide detailed perspectives of the events unfolding during the Holocaust in viet territories. Sacred Texts, Modern Questions is a resource designed specifically for educators in a Jewish setting. This five-unit collection of lessons explores sacred texts of the past and the questions that shape our present. It makes connections between instances of moral courage in Pharaoh’s Egypt, struggles of conscience and faith in Hitler’s Europe, and readings from today’s influential thinkers. Our goal is to integrate original Facing History resources with biblical, rabbinic, and contemporary Jewish sources. A Convenient Hatred chronicles a very particular hatred through powerful stories that allow readers to see themselves in the tarnished mirror of history. It raises important questions about the consequences of our assumptions and beliefs and the ways we, as individuals and as members of society, make distinctions between us and them, right ansd wrong, good and evil. These questions are both universal and particular. Each module includes a rich collection of primary sources, videos, and lesson plan ideas. These online resources are ideal for blended and flipped classroom design or other classroom use. 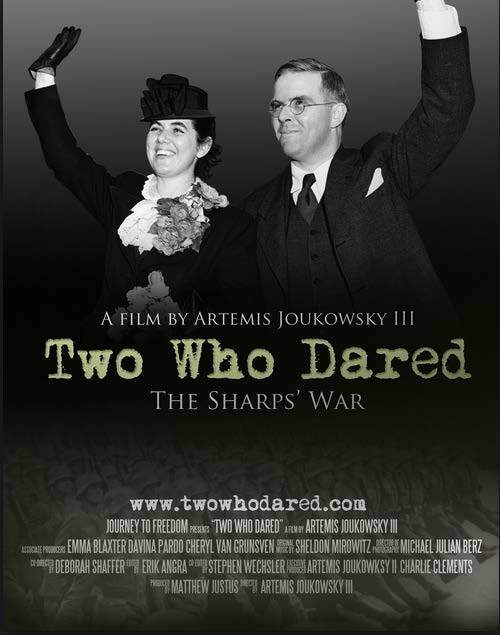 In 1939, Waitstill and Martha Sharp left behind the safety of their home in Wellesley, Massachusetts and flew to war-torn Europe. In Nazi-occupied Prague and Paris, in the grim detention camps of Vichy France and on hidden trails through the Pyrenees, they risked their lives to help feed, shelter, and rescue thousands of refugees, including anti-Nazi dissidents and Jews. This module explores the role of the United States during the Holocaust and the stroy of the Sharps as it asks the question: what motivates people to rescue others? For more than 35 years, Facing History and Ourselves has been connecting the past to the moral and ethical issues of our own time by exploring histories that raise profound questions about the nature of evil, the power of stereotypes and myths, and the importance of prevention. A Convenient Hatred: The History of Antisemitism, evolved over centuries and how it continues to shape attitudes and beliefs in the world today. The book and module aim to help students understand how this pernicious hatred began and, most importantly, why it persists despite heroic efforts to overcome it. This resource will inspire deep conversations about hatreds in general, as well as this particular hatred, and encourage positive action. This online module is designed to complement the film The Rescuers, directed by award-winning filmmaker Michael King. 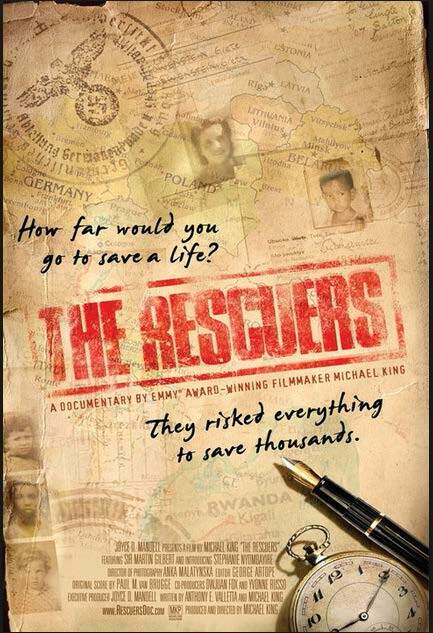 The Rescuers traces the effort of twelve diplomats who served in Europe during the Holocaust and, at great risk to themselves (and at times their loved ones), assisted Jews in their attempt to flee Nazi persecution. The film follows Sir Martin Gilbert and Stephanie Nyombayire, a survivor of the Rwandan Genocide who has become an anti-genocide activist in recent years. Gilbert is an acclaimed and prolific British historian, who is one of the foremost historians on the Holocaust. In this module, students will find readings that provide context and background on the Weimar Republic in Germany (1919-1933). The collection of primary source documents assembled on this website creates a fascinating picture of a complex society at a crossroads in a nation’s history. The website also presents a series of profiles of key Weimar personalities whose actions and choices helped shape the course of events. The history of the Weimar Republic illuminates one of the most creative and crucial periods in the twentieth century and serves as a significant case study of the critical issues of our own time. Many of the questions asked about the Weimar Republic are relevant to problems that individuals and societies face in the twenty-first century. The Jewish Education Center of Greater Cleveland has created a lesson plan built around a quotation from the work of Elie Wiesel: “Hope is like peace, it is not a gift from God. It is a gift we can only give to each other.” With the Holocaust as their focus, students working with this learning guide will consider the meaning of hope; the ways in which hope gets passed from one person to another; and the importance of hope in the face of oppression. This lesson provides students with a basic understanding that will provide context for viewing the Violins of Hope exhibition at the Maltz Museum of Jewish Heritage.